The RFFOB peripheral and cards receive and decode packets from common 315/434 MHz keyfob transmitters. 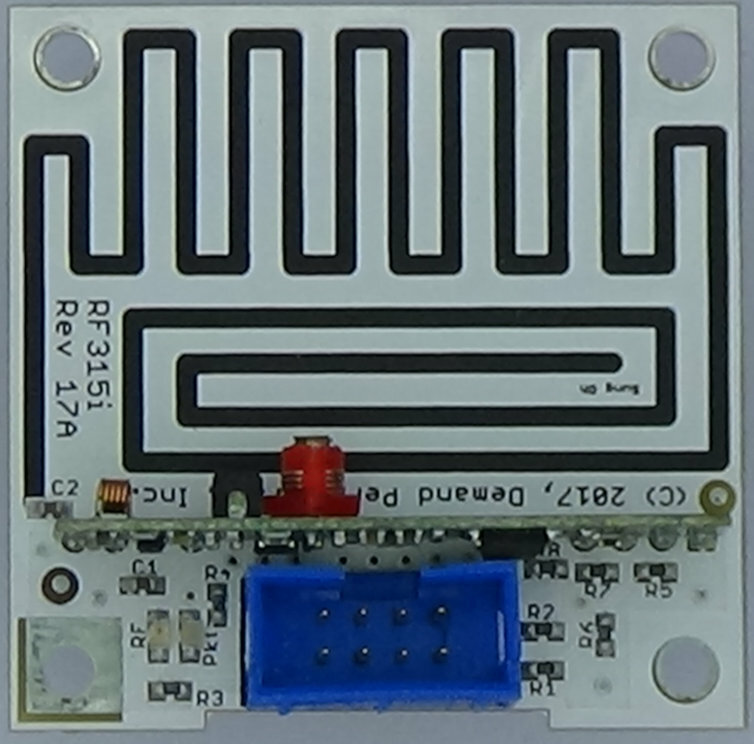 The RFFOB peripheral uses an RF receiver module to convert the RF signal from a keyfob transmitter to a digital pulse stream. 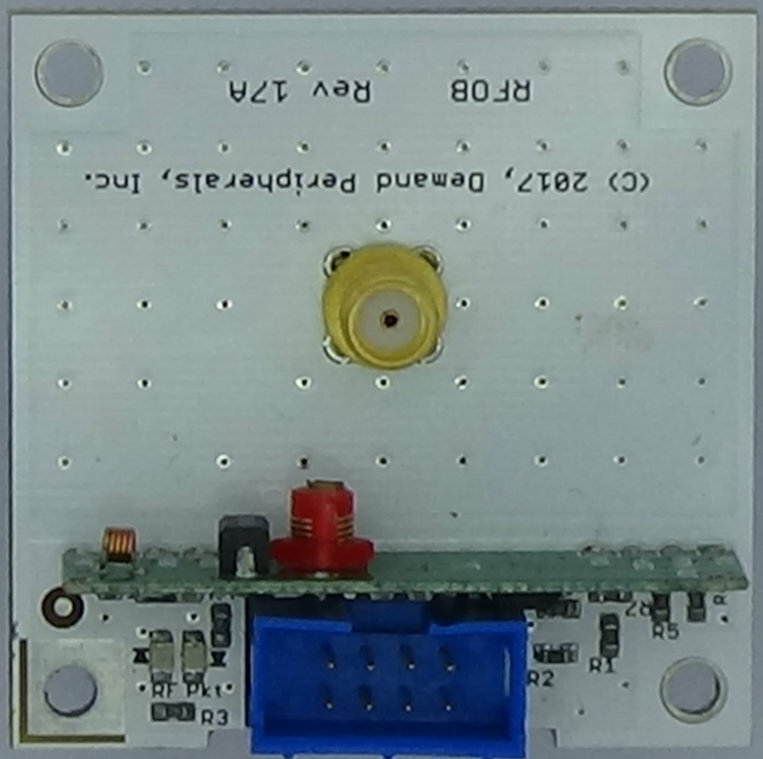 LEDs indicate RF reception and to indicate a valid packet. More data about the RFFOB cards can be found here: cards/rf315i.html and here: cards/rfob.html. Resources for the RFFOB peripheral include a read-only data receive resource and a read-write baud rate resource. recv : received RF packets. The received data is given as a newline terminated 32 bit hexadecimal string. This resource works with dpcat but not with dpget or dpset. baudrate : baudrate in bits per second. The baudrate is given as a decimal number terminated by a newline. The default value is 4800. This resource works with dpset and dpget. Set the baudrate to 4800 and then start a stream of received RF packets.